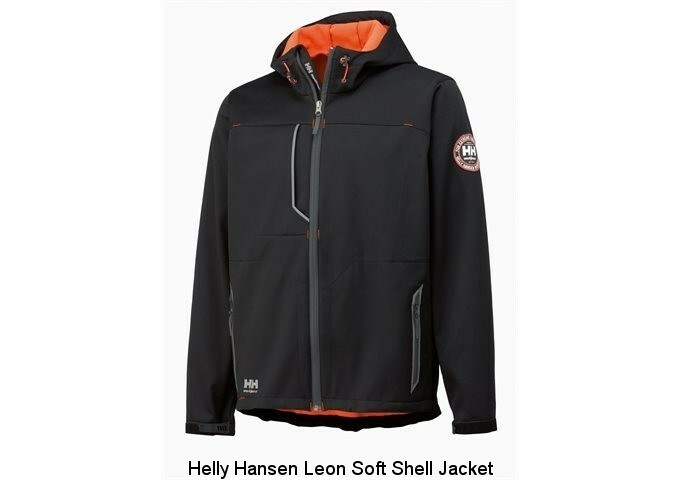 The Helly Hansen Softshell Leon Jacket is a light, durably windproof garment intended for inclement outdoor conditions. The warm, stylish softshell fabric of this jacket will be a friend to you in hostile weather, as will the soft micro fleece lining on the inside. If the heavens open, simply pop up this one's hood, and tighten the draw-cord to protect your face from the wind's lashings. A chest pocket can be opened or closed using the zipper, and a loop inside at the hem can hold an affixed ID card. Two zippered hand pockets also come as standard, and a workwear badge on the arm will let the world know your profession at a glance. If pesky draughts are prone to haranguing you while you work, the Helly Hansen Softshell Leon Jacket's extended back has literally got your back, while the Velcro adjustment at the bottom hem sleeve will allow you to compress the jacket snugly against your body. Soft on you, hard on the elements, this one's impossible to fault. 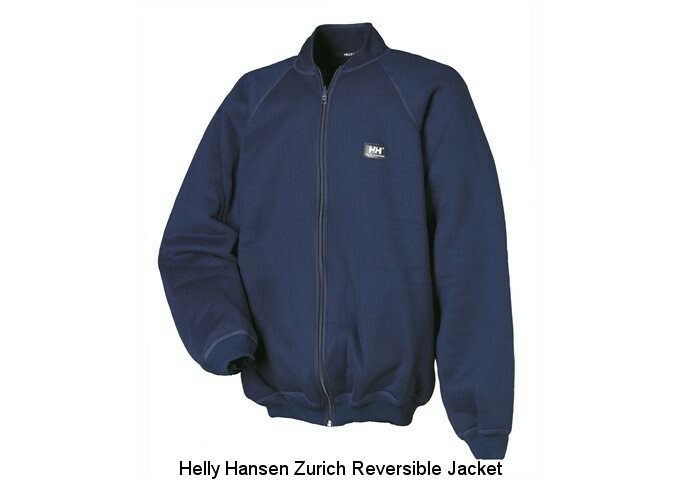 Keep as warm as toast with this Helly Hansen Zurich Reversible Fleece Jacket is made from original fibre pile which is unbeatable at keeping you warm in low temperatures. The jacket has elastic ribbing on cuffs and bottom edge for extra warmth. 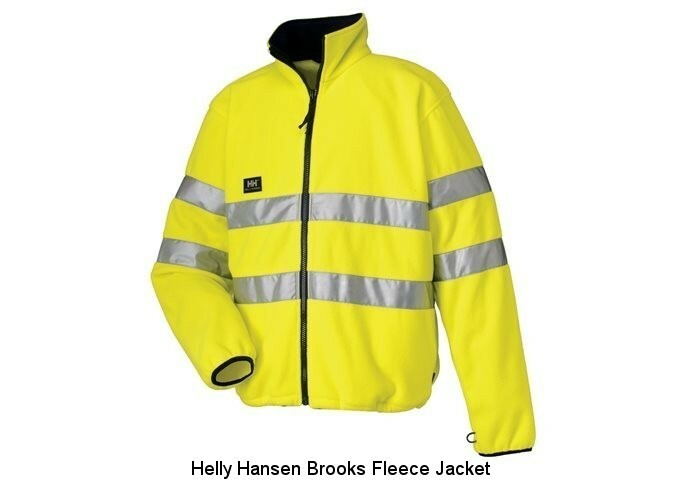 This is an ideal jacket for anybody working in colder environments, such as factories. 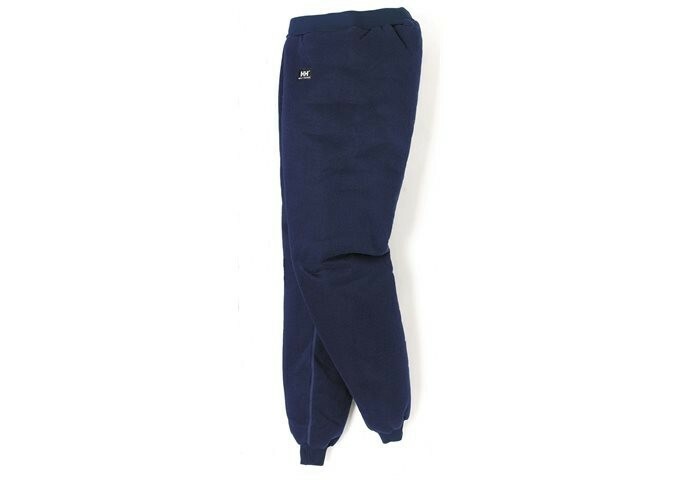 The Helly Hansen Bern Pant is a must for those working in very cold temperatures. A very popular workwear item for industries where cold work is unavoidable. The HH Bern Pant boasts Original Fibre Pile with W-binding making it unbeatable at keeping you warm. With matching cold work garments there are many options to suit differing requirements. 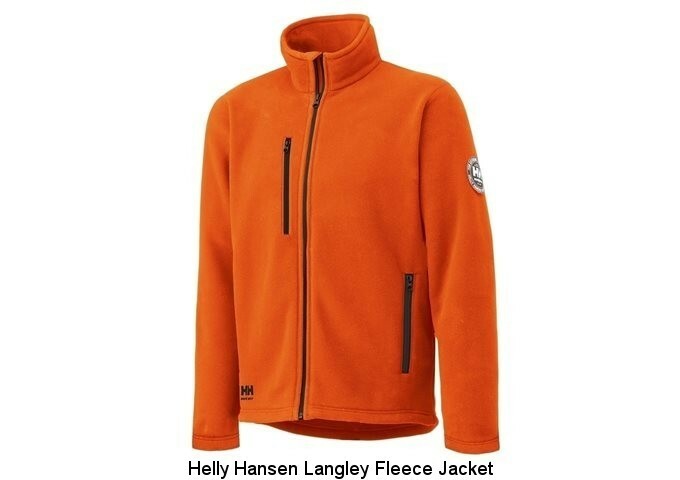 Helly Hansen Langley Fleece Jacket is part of Helly Hansens three layer system. Incorporating Polartech Thermal Pro technology creates extra warmth with less weight. This second layer jacket features embroidered logo at hip, embrodered logo at neck, Workwear badge at the sleeve, and Polartech label at hip. It has handy thumb holes on the sleeve, a chin guard, and extended length at the back all help keep you warmer. 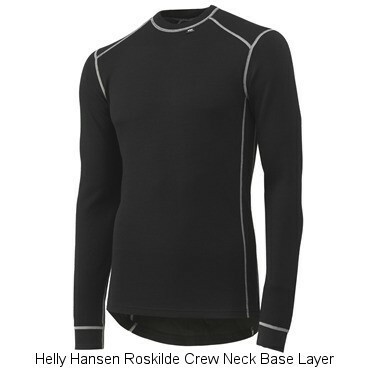 Helly Hansen Roskilde Crew Neck Thermal Base Layer Black is crafted from 57% Merino Wool & 43% Polypropalene Lifa Warm Stay Dry Technology for maximum moisture transport and warmth. Lifa Warm is highly durable, naturally antibacterial and non-allergenic, with the insulation of Merino Wool to keep you dry and warm in cold conditions. 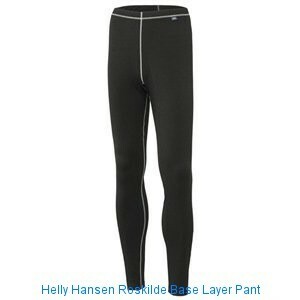 Helly Hansen Roskilde Baselayer Pants are designed with wearer comfort very much in mind. Their ergonomic features allow you maximum flexibility, a prerequisite for most of us when we go about our daily jobs. The soft material of the trousers are both quick drying and excellent at wicking moisture away from the body, while the anti-bacterial, insulating merino wool will keep you warm and snug, especially when you layer the figure-hugging trousers beneath a boilersuit. The Helly Hansen Roskilde Baselayer Pants incorporate Lifa Stay Dry Technology, making them the ideal purchase for runners, cyclers, hikers or anyone else who's seriously active. The extended back also works to keep your calves, hamstrings and ankles just as snug as the rest of you.